Are you in search of a twist on tic tac toe? Trust me, Tic Tac Toe is a great game when you need to practice turn taking, handwriting skills, visual spatial skills, and logic. But after awhile it can get repetitive. 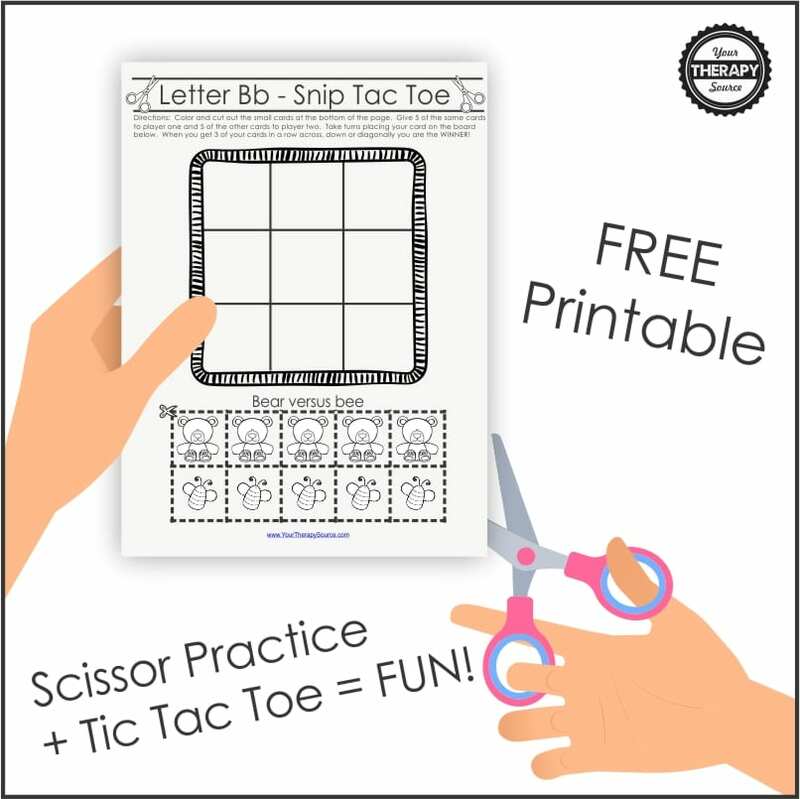 This free printable is a twist on tic tac toe that includes coloring and scissor skills practice! Print out the freebie below. Color and cut out the small cards at the bottom of the page. Give 5 of the same cards to player one and 5 of the other cards to player two. 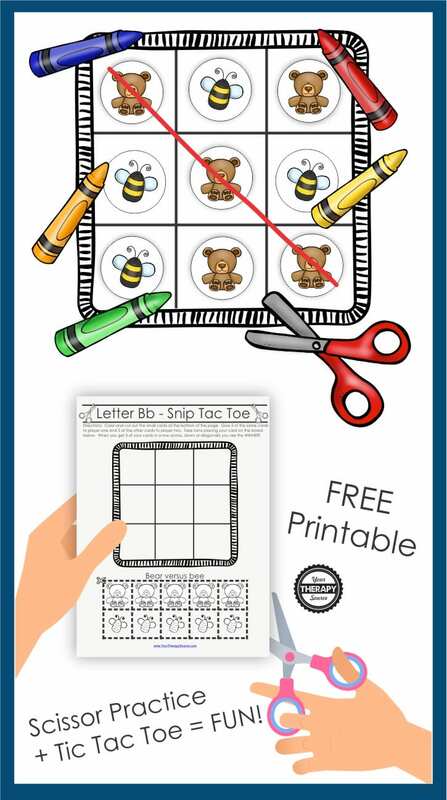 Take turns placing your card on the tic tac toe board. When you get 3 of your cards in a row across, down or diagonally you are the WINNER! Precut the 10 objects at the bottom of each page into 2 strips of 5 objects. The student will only have to cut on about a 1” straight line. 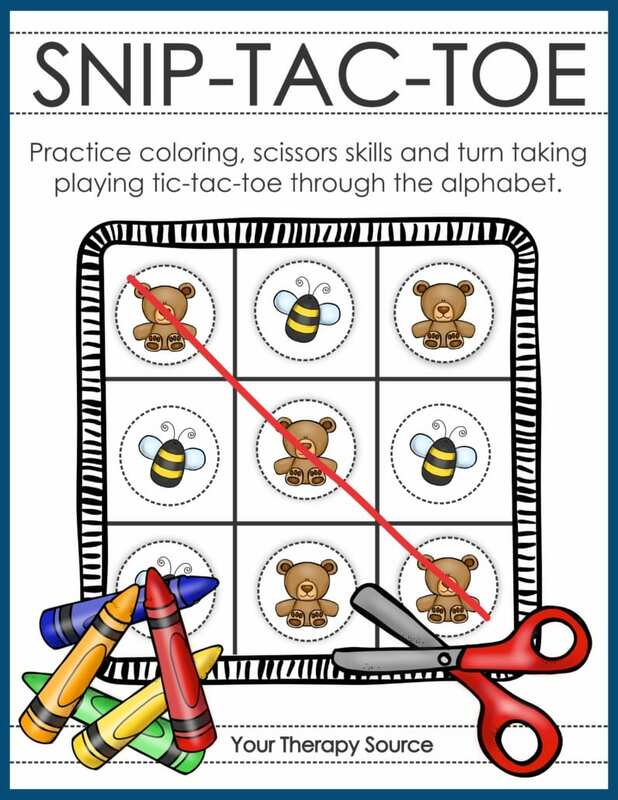 Snip Tac Toe – Color and Cutting Game digital download includes 26 tic tac toe games from A to Z to color and cut. Students can practice fine motor skills, visual motor integration, and scissor skills all while having FUN! FIND OUT MORE about the complete packet!